The new academic year has started and I've already been sucked into the fray. I spent most of last week in London at the Royal Geographical Society/Institute of British Geographers conference, where I delivered one paper, was a discussant in six sessions, and chaired another. This week coming I'm running a two day workshop on Code and the City, with many of the world's leading scholars in the field coming to Maynooth to discuss how software is changing urban systems and life. The week after I'm back to London for a couple of days, and the week after that term starts and we also launch the Dublin Dashboard, a treasure trove of data about the city. This is an extended way of saying, expect the number of posts to drop off for the next wee while. 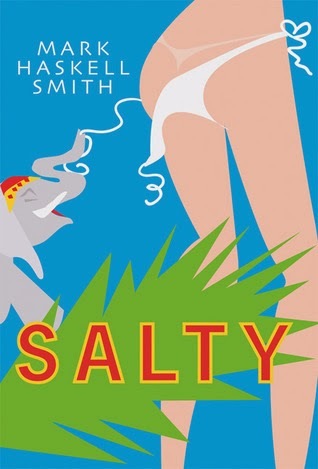 On reading news, I'm just finishing off Cathi Unsworth's Bad Penny Blues and hope to make a start on Mark Haskell Smith's Salty this evening. Originally from San Francisco, but having moved to New York, Helen is 19 and eight months pregnant with the child of gambler and cad, Steve Georgesson. He abandons her, leaving her with a train ticket home and five dollars. On a packed train she meets Patrice, who is similarly pregnant, and her husband, Hugh, who are travelling to meet his parents for the first time. Patrice is an only child and her parents are dead. Sharing the bathroom, Helen minds Patrice’s wedding ring to stop it slipping down the plughole, but then the train derails. Patrice and Hugh perish, but Helen survives along with her premature baby. She wakes in a hospital and is assumed to be Patrice. Every time she tries to reveal the truth, fate conspires against her, and once she is ensconced in Hugh’s parent’s comfortable house the lie is sealed. For the next couple of years Helen lives in fear of her secret being discovered and then Georgesson reappears in her life, threatening blackmail. Cornell Woodrich was a prolific writer of short stories and noir novels. His stories were made into 33 noir movies. 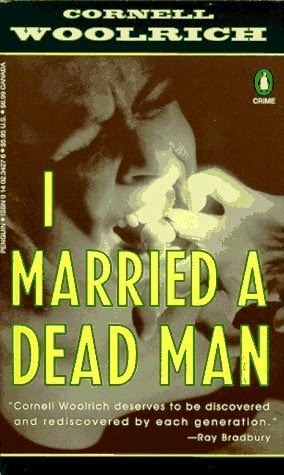 Published in 1948, I Married A Dead Man was produced as a movie on four occasions. The tale tells the story of a young, pregnant woman who takes the identity of another woman who has died, along with husband, in a train accident, and subsequently lives in fear of being discovered. Whilst the tale is a little melodramatic at times, both the telling and the plot are excellent, with a wicked twist in the denouement. Woodrich saturates the story with paranoia, anxiety and desperation through some evocative prose, and peppers the tale with astute observations about the various players. The result is a compelling, dark, atmospheric tale by one of the noir masters of the twentieth century. After a traumatic incident at the end of the Boar War, military policeman Will Prior orchestrates his dismissal from the British army. Not wanting to return home to Yorkshire he instead heads to German New Guinea in the South Pacific. There he tries to forget his past, eking out a living by managing a small plantation and conducting an affair with his native housekeeper, Siwa. When the autopsy of a German national, who’d been living on a remote island populated by a strange cult, suggests foul play, the authorities turn to Will for professional help. Reluctantly Will agrees to accompany a representative of the Governor and an English traveller, Bessie Pullen-Burry, who is writing a travelogue, to the island to investigate the death. There they are greeted by the small group of Cocovores who believe they have discovered the secret of eternal life - naturism, the worship of the sun, and a strict diet of coconuts, bananas and heroin. Over several drug-addled and malaria-ridden days, Will tries to discover whether any of the dozen inhabitants had murdered one of their number and as he nears his conclusion he starts to fear that he might not leave the island alive. 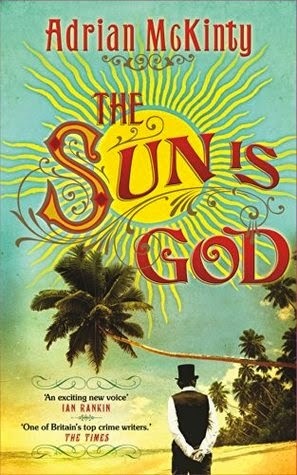 The Sun is God is based on the true story of the suspicious death of a member of a strange cult on a small island, Kabakon, in German New Guinea in 1906. Rejecting modern life, the Cocovores believed that they could achieve immortality through sun worship and a strict diet of coconuts and bananas (fruit that grows at the top of trees, nearest to the sun). Whilst most of the case are based on real characters, McKinty sends a fictional, ex-military policeman, Will Prior, to the island to investigate the case. Prior is a veteran of the Boer War, still suffering from post-traumatic stress from the conflict, and a reluctant policeman who’s prone to leap to conclusions and stumble his way through an investigation. The tight knit nature of the small community, their addiction to industrial heroin, and the surfacing of Prior’s malaria fever doesn’t help matters. The strength of the story is the oddity of the case itself, the mix of nicely penned characters, and the dynamic of the religious cult. However, background information on the history of the cult and the suspicious death is a little thin. Curiously for a McKinty book, the telling was slightly detached, almost as if he was mimicking an Edwardian voice, and it’s not until the last few pages when the narrative shifts focus and tense that his usual style kicks in, providing a climax to what had been a rather terse and reserved narrative. Overall an interesting and thoughtful historical crime tale. 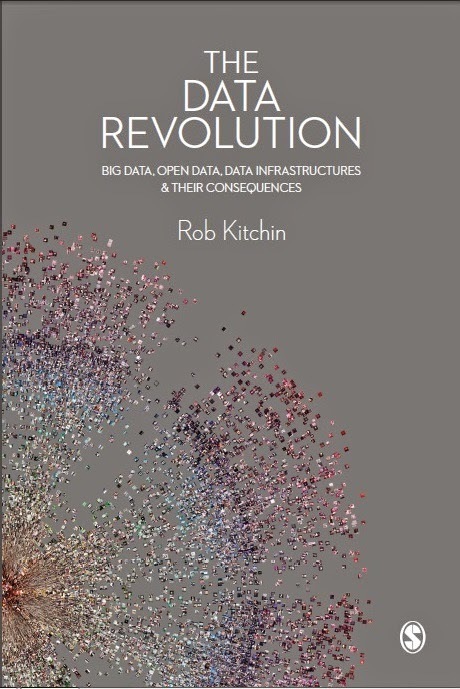 My latest academic book The Data Revolution: Big Data, Open Data, Data Infrastructure and Their Consequences was published on August 23rd. The publisher tells me that the book is in their warehouse and is ready to ship. I've made a bit of an effort marketing wise with this one, setting up a dedicated website with a bunch of resources (including open access links to related papers and a hyperlinked bibliography) and making a promotional video (below). The publisher has made the preface and chapters one (Conceptualising Data) and four (Big Data) open access. The website has a full table of contents and chapter outlines though the title gives a pretty good description as to what it's about! I'm also delighted that the book has had a lot of advance praise. The site includes details about buying the book, including electronically through just about every format going. I'm glad to see this one head off into the world. I learnt a lot writing it and hopefully readers will as well. 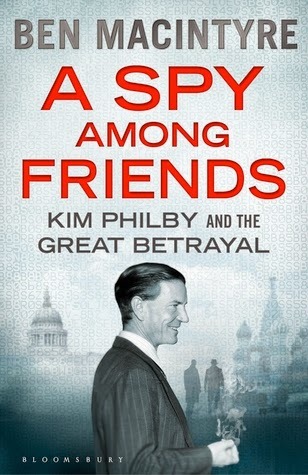 I had a productive trip to the bookshop yesterday where I picked up three books I'd ordered - John McFetridge's Black Rock, Bill Fitzhugh's Pest Control and Mark Haskell Smith's Salty - but also found two others that caught my eye: Ben MacIntyre's A Spy Among Friends: Kim Philby and the Great Betrayal, and Mike Rossiter's The Spy Who Changed the World: Klaus Fuchs and the Secrets of the Nuclear Bomb. 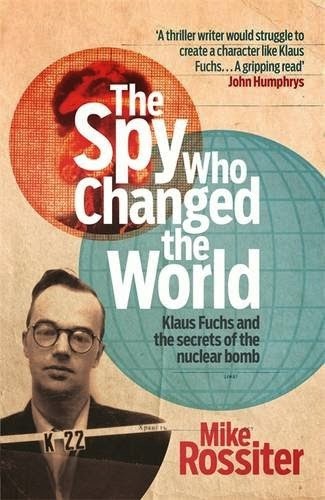 It'll be interesting to compare the respective stories of Kim Philby and Klaus Fuch, two infamous spies from the mid-Twentieth century whose actions had major consequences with respect to the cold war. ‘It started up over there and zipped across to the hedge line.’ Emma lifted up her arm and traced the arc. ‘Look, there’s a satellite.’ She pointed at a slow moving silver dot. Except for the incompetence of a local undertaker, Teresa Le Roux’s murder by a bicycle spoke thrust into her heart through her armpit would have never been discovered. It’s a favoured method of execution amongst Bantu gangs and it’s exceptional for it to be used on a white woman. Lieutenant ‘Tromp’ Kramer of Trekkersburg, a small town to the north of Durban, is called to the undertakers, which doubles as a morgue. He promptly sets up an investigation, calling on the services of Sergeant Mickey Zondi, a Bantu officer in a strictly apartheid police force. Kramer and Zondi form a formidable partnership, with a healthy mix of friendship and respect, but nevertheless perform their boss and kaffir roles. It appears that Le Roux was a young, mousy music teacher who led a quiet, reclusive life. But the lack of a past and a few oddities in her clothing raise Kramer’s suspicions further. As Kramer and Zondi slowly discover information about Le Roux, and try to discover why a Bantu gang might want her dead, they come to hear of the steam pig, a figure so feared that no-one will talk about him. 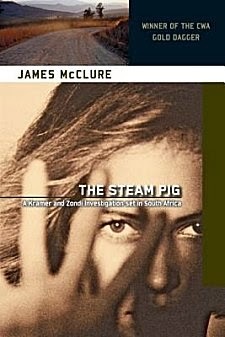 Published in 1971 and winner of the CWA Gold Dagger, The Steam Pig is a police procedural set in South Africa. The book is noted for its depiction of apartheid in South Africa in three respects. First, its matter of fact depiction of how apartheid was expressed on a daily basis and how it structured social relations and led to distinct geographies. Second, the complex relationship between Afrikaans ‘Tromp’ Kramer and his Bantu Sergeant Mickey Zondi, which is infused with asymmetrical power relations but also friendship and respect. Third, its complex plot that mixes polite white society with Bantu gangs, Indian shopkeepers, and colored families. Indeed, McClure doesn’t pull any punches in a book that interestingly can be read in different ways -- as an anti-apartheid tale and as an affirmation of the status quo (hence its popularity in South Africa). The result is an absorbing book with respect to the setting, politics and social relations, and the case that Kramer and Zondi are trying to solve. A big plus in its telling is the somewhat ambiguous relationship between Kramer and Zondi and their interaction. That said, due to the focus on the plot, neither character is that well developed and their back stories are barely explored. Moreover, the story stuttered at certain points and the end of the tale seemed overly rushed and little over-dramatic and it would have benefitted from an epilogue or a little more explication as to the fallout. Overall, a fascinating and entertaining tale of South Africa in the early 1970s. Investigator Arkady Renko is attending the funeral of murdered billionaire businessman, Grisha Grigorenko, when a protest begins at the cemetery gates for Tania Petrovna, a fearless journalist who supposedly committed suicide. She cannot be buried on consecrated ground and besides her body has disappeared from the morgue. Renko is drawn to the protest which is broken up first by a gang of skinheads, then the police. Tatiana was not the kind of person who would take her own life, but she had plenty of enemies. Despite being warned off, Renko starts to poke around sure that foul play was involved in the journalist’s death. He soon comes into possession of a notebook filled with the idiosyncratic codes of a translator whose body was found in sand dunes near to Kaliningrad, home to the Russian Baltic fleet and the world’s largest source of amber. If there’s an answer to Tatiana’s death, either the notebook or Kaliningrad hold the key, but only if Renko can stay alive. 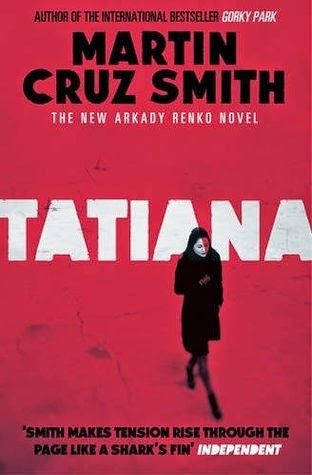 Tatiana is the eighth book in the Arkady Renko series, the first of which, Gorky Park, was published in 1980. A lot of water has passed under the bridge in the intervening thirty years, including the demise of the Soviet Union and the rise of Russian oligarchs. Tatiana focuses on the latter and what seems like the tenuous connection between the deaths of a billionaire and a fearless investigative journalist. The themes of the dangers of being a journalist in Russia and the corruption existing between state agencies and large businesses was topical and interesting. However, the set up felt overly contrived and elaborate, hinging on a coded notebook, an odd collective and a state conspiracy, with some of the connections and back story a little sketchy. Moreover, it made little sense that Arkady is allowed to continue to poke his nose around given the stakes. That said, the story is nicely written, with a sense of melancholy pervading the prose, and Renko remains an appealing, taciturn, pragmatic and quietly determined investigator. Overall, an interesting story that felt somewhat contrived and also a little thin. Jane and Alexis both had events in their teenage years that irrevocably changed their lives. Whilst enjoying being a punk in Glasgow, Jane became pregnant, married and settled down to a boring married life. In Canada, Alexis hacked into a classified site and ended up on the run in the South of France working for a shadowy high-tech, private security contractor who does lethal work for hire. Now forty six and a grandmother, Jane still dreams of being a secret agent, going on dangerous adventures and playing in the casinos of Monte Carlo. Alexis wants to give up fighting and killing baddies and to go to College. Both are trapped in their respective lives. But then Jane’s son Ross, a specialist in non-lethal weapons, disappears. Alexis’ firm is hired to locate him and they soon form a partnership with Jane, who’s steely determination to track him down means she soon living her James Bond dreams. Brookmyre’s tales are always good fun, invariably a thriller tale wrapped up in dark humour and spun out as an edgy comic caper. 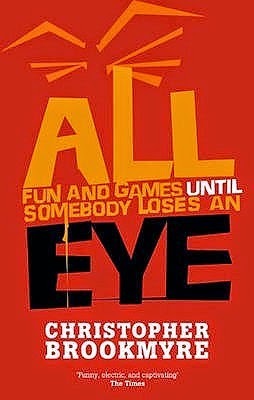 So it is with All Fun and Games Until Someone Loses an Eye, which has a very nice hook about a dour Scottish housewife making a transformation into Lara Croft as a secret agent. The set-up is very nicely done, as is the unfolding of the plot and the denouement, with the action sequences particularly well conveyed. As usual, Brookmyre develops a colourful cast of characters, placing them a number of them slightly or fully out of place, and riffing on their interplay. The result is humour is ever present, though rarely spills over into belly laughs. The only downside is there is far too much explication and back story, with rambling long passages that added little but padding. Some judicious editing would have added a little pace and verve. Overall, an entertaining, well conceived, tongue-in-cheek thriller. A busy week reading, making notes, plotting and writing an academic paper. When I've not been doing that I've had my nose stuck in a novel. A very nice way to spend a few days. To replenish the book pile I also ordered Cathi Unsworth's Bad Penny Blues and Shuichi Yoshida's Villain. They were paddling along the edge of the sea, a couple of hundred metres out from the sand dunes. Alf took Bessie’s hand and they skirted a jellyfish. ‘What? Alf stared back towards the dunes, where a wide expanse of water now lay. Cesare ‘Rico’ Bandello is an up-and-coming mobster working for Sam Vettori in the Little Italy area of North Chicago. Given his guile and ruthlessness it’s only a matter of time before he ousts his canny but slothful boss. While standing up a nightclub on New Year’s Eve Rico shoots an off-duty police captain dead. The gang go to ground and Rico knows that if everyone keeps their nerve then they can continue to expand their empire. But with the police applying pressure, it’s only a matter of time until things are bought to a head. Little Caesar is considered to be the first American gangster novel, highly innovative for the time for its social realism in depicting how a gang was run and organised, their crimes and on-going struggles with the law. He subsequently converted the book into a screenplay and it was made into a movie (1931), also considered the first classic Gangster film. In total he wrote over 40 novels and the screenplays for over 50 movies. The plot for Little Caesar is very linear, telling the story of the rise and fall of a hardnosed, ambitious gangster, who quickly moves up the ranks due to his daring and ruthlessness. The prose and storytelling is tight and expressive, the pace kept high, and the reader is quickly hooked in through the action sequences punctuated by Rico’s manoeuvrings. 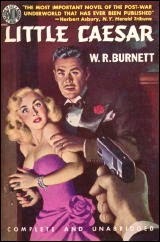 The story lacks the depth and sophistication of later gangster tales, but is nonetheless an interesting and engaging read. Private investigator Philip Marlowe has been hired by a Los Angeles businessman, Derace Kingsley, to find his wayward wife, Crystal, who’s been absent from their cabin in the mountains for a month. She’s subsequently sent a telegram saying she’s getting a Mexican divorce and is re-marrying. More recently Kingsley has received a call from a hotel to say her car has been there for two weeks and he's met the supposed suitor, Chris Lavery, a gigolo, who denied all knowledge of eloping with Crystal. Given his wife has had a few run-ins with the law, though they’ve always been hushed up, and concerned for her safety and the blowback from any scandal, he wants Marlowe to track her down. He starts by heading to Lavery’s abode, where the gigolo sticks to his story of brushing-off Crystal, and the doctor’s house opposite attracts his attention after the police are called to move him on. He then heads to the Kingsley cabin at Puma Point in the mountains, where he discovers the body of a woman in the lake, the wife of the caretaker, who disappeared after he’d had a fling with Crystal the day before she supposedly fled to San Bernadino and onward to Mexico. The caretaker is arrested for the murder of his wife, but Marlowe isn’t convinced at his guilt and sets off to unravel the case. 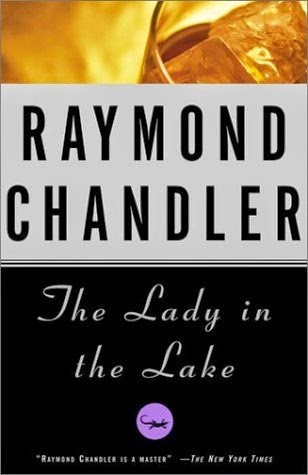 The Lady in the Lake is the fourth book in the Philip Marlowe series. Marlowe’s character as a private detective who can handle folk like a feather when needed, but is more likely to use the edge of his tongue and the back of his hand, is firmly established. The strength of the book is the plot and Chandler’s storytelling. The story starts as a missing wife case, quickly becoming a two missing wives case, then a murder investigation after one of them is found at the bottom of a lake. Whilst the police believe they’ve quickly solved the murder, Marlowe isn’t convinced and he still hasn’t found the first missing wife. It takes all of his guile and abrasiveness to finally locate her and solve the puzzle, and the denouement is very satisfying as Chandler reveals a perfectly logical, but well camouflaged, twist. The characterisation and their interactions is well done and Chandler nicely portrays and passes comment on the social relations and police corruption of the time. Overall, a superior PI tale from one of the genre’s masters. In an impulsive moment, Inis St Erme, a rich investor, and Elinor Darrie, a receptionist in an insurance company, decide to get married. Unable to tie the knot in New York without waiting a few days for a license they borrow a car to drive to Vermont. On the way they pick up a hitchhiker and stop for a picnic on a lonely road. St Erme and the hitchhiker get into a fight, the latter apparently mortally wounding the investor before bundling him into the car and speeding off. On its journey the car knocks down and kills another man and runs over a dog. Yet the vehicle never reaches Dr Riddle whose car has broken down on the first junction on the road. And when they do find St Erme’s body he is missing his right hand. To the police and Riddle the case makes little sense and nor do any of the clues, then those connected to the investigation also start to fall victim to the killer. 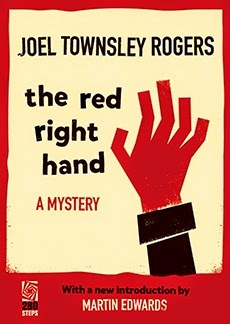 The Red Right Hand is a convoluted whodunnit penned by Joel Townsley Rogers, best known as a prolific short story writer. Rogers’ aim seems to have been to a tell a tale that is as full as possible with feints, sleights, red herrings, twists and turns, and contradictory evidence, as Dr Henry Riddle recounts the story of an eloping young couple who pick up a hitchhiker on a lonely road, the resulting murder, and the investigation that leads to other deaths. The set-up is kind of an open-air locked room mystery, with the killer seemingly managing to escape along a blocked road. The story is narrated almost as a stream of consciousness by Riddle, but it’s not always clear how reliable his narration is, and his account sometimes rambles on through some amazingly long sentences, with dozens of sub-clauses. 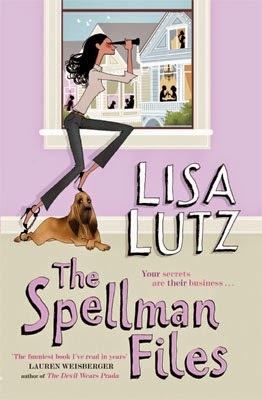 Whilst the plot is complex and clever -- the denouement is a wonderfully piece of storytelling -- it relies on a whole series of coincidences, a couple of which are more than a little fantastical (as the story is told they seem odd but work to place doubt into the reader’s mind; when looking back after the resolution they make no sense). The result is a story where the reader is aware that the tale will only work if they become duplicit in the charade, suspending any kind of realism and continue knowing that they cannot believe anything until the final few pages. The Red Right Hand is an undoubtedly clever book, but the coincidences and knowing cleverness just didn’t quite work for me despite all the plaudits that have been heaped on it over the years. Nonetheless, worth a read for the sheer gusto of the plot. I popped into the local bookshop yesterday to see if the last part of an order had come in. It hadn't, so I started to browse the shelves. 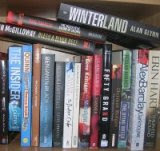 In the end I came away with Adrian McKinty's new standalone, The Sun is God, and Martin Cruz Smith's, Tatiana. Expect reviews shortly. Boo Malone and his best friend, Junior, survived the hell of St Gabriel’s Home for Boys. They now run their own company, 4DC (Dirty Deeds Done Dirt Cheap), providing security for a handful of grungy pubs/nightclubs. Boo and Junior mostly work the door and floor of The Cellar, a hangout for misfits, policing antics with a mix of banter and menace. Occasionally things get out of hand, in part due to Boo’s anger management issues, but mostly they coast along. Then they are hired to find Cassandra, a runaway misfit teenager whose politically powerful father wants her found before any scandal reflects onto him. Seduced by a large fee, Boo and Junior take the job. It soon becomes clear that Cassandra has fallen into dangerous hands and Boo becomes fixated on finding and saving her whatever the cost. 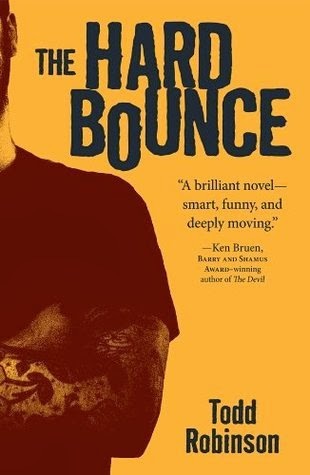 Hard Bounce is a hardboiled noir tale of friendship, exploitation, violence and compassion. Robinson writes in tight, expressive prose, capturing the dark world of Boo and Junior, two men who survived growing up as orphans in boy’s home and now eke out a living running their own security company bouncing pubs/nightclubs. There is a good dynamic between Boo and Junior and the characterisation through is nicely developed. Boo, in particular, is well portrayed, a large, hard man with anger management and self-loathing issues, haunted by his past and concerns as to what happened to his sister after the death of his parents. The plot is a typical PI tale concerning the hunt for a misfit, rich kid who’s disappeared into Boston’s underbelly, but the twist is that Boo and Junior are bouncers, not detectives. 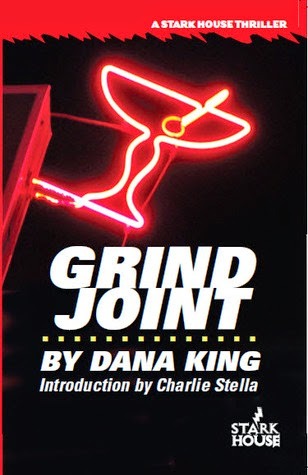 What they do have, however, is an inside track on Boston’s darker side, street wits, and a set of tight friends. The theme around underage sexual exploitation is dark, but so is that world. Boo’s single-mindedness and his refusal to share information or seek help is pushed to an extreme perhaps, but worked as a plot device to ratchet up the tension. The real pleasure of the story is Boo and Junior’s banter and friendship and tracking them through their dark and lethal adventure. 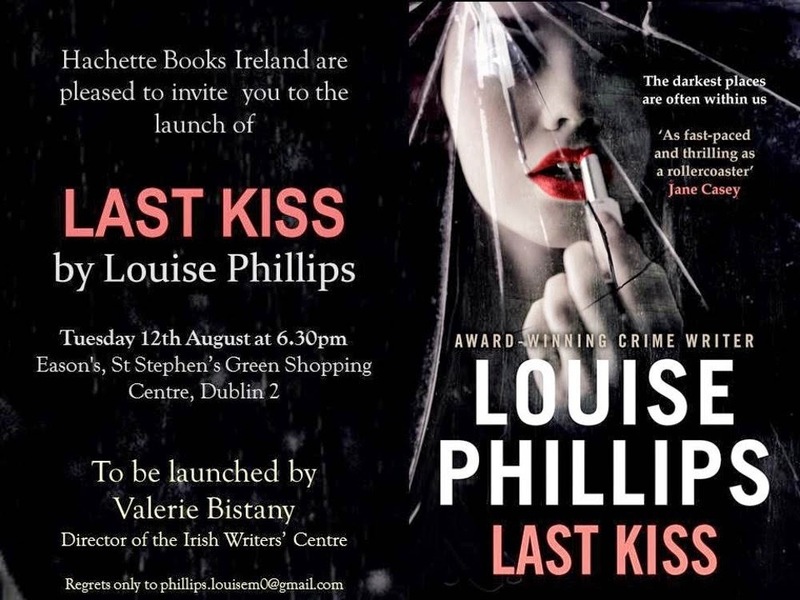 The third installment of Louise Phillips series featuring criminal psychologist, Dr Kate Pearson, is launched on August 12th, 6.30pm in Eason's in St Stephen's Green Shopping Centre. If you're in Dublin then I'm sure she'd be delighted to see you there to set Last Kiss off into the world. The first two books were both shortlisted for the Irish crime novel of the year, the second, The Doll's House, winning the award in 2013. Here's the blurb for Last Kiss. In a quiet suburb, a woman desperately clings to her sanity as a shadowy presence moves objects around her home. In a hotel room across the city, an art dealer with a dubious sexual past is found butchered, his body arranged to mimic the Hangman card from the Tarot deck. When criminal psychologist Dr Kate Pearson is brought in to help investigate the murder, she finds herself plunged into a web of sexual power and evil which spreads from Dublin to Paris, and then to Rome. Will Kate discover the identity of the killer before it's too late to protect the innocent? But what separates the innocent from the guilty when the sins of the past can never be forgotten? July proved to be a quite varied month of reading - from dinosaurs working as PIs to political satire to cross-dressing amateur sleuth to the Russian front to a PI tale told from a dog's perspective to spies in postwar Washington. 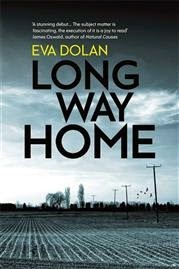 My read of the month, however, was a gritty police procedural set in Peterborough and its surrounds by Eva Dolan. If you're a book blogger or reviewer and fancy an ARC of my new novel Stumped then 280Steps has posted details on how to obtain a copy. The story is a screwball noir set in Ireland. On other news, I can officially announce that I hate the flu. A small mill town to the north of Pittsburgh, Penns River is on a slow slide towards permanent recession and urban decay. Daniel Hecker, an ambitious businessman, has convinced the city council that a grind joint casino will create new jobs and attract visitors that will help revive the local economy. One week from opening and the body of a local drug dealer is found dumped at the new casino’s doors. The killing has the hallmarks of a professional hit by local mob boss, Mike ‘The Hook’ Mannarino, but there is no firm evidence to link him to the crime. Hecker and his head of security, Daniel Rollison, a former spook, want the case closed as soon as possible and they don’t mind greasing the wheels to get the result desired. However, Detectives Ben ‘Doc’ Dougherty and Willie Grabek are smarter than many small-town cops, serving in Penns River for personal rather than career reasons. Under pressure from an acting chief of police who wants the job fulltime, they work their own angles, sensing that there is much more at stake than solving the murder of a low-level drug pusher. Grind Joint is a tale of a town in decline, local politics, personal rivalries, turf battles, inter-agency rivalry, family relations, and a cop determined to try and uphold law and order in the face of greed, betrayal, and rising crime and poverty. King packs an awful lot into an excellent story, with multiple, intersecting plotlines, and he hits all the right buttons -- excellent characterisation, strong sense of place, good contextualisation, engaging plot, and tight, expressive prose. There are a fair few characters in Grind Joint, but King has a way of quickly presenting their essence and is particularly good at capturing their interactions and the nuances of their relationships. They are not black and white one-dimensional figures, but have depth and resonance. In particular, Detective Ben ‘Doc’ Dougherty is an engaging, thoughtful presence. Moreover, King firmly places the reader in Penns River, a former industrial town that has a declining economy and is struggling to find a new path. The plot is cleverly worked, placing in tension the aspirations of a powerful businessman, the machinations of local government and policing, the ambitions of organised crime, and the thin blue line of an honest cop, a couple of his colleagues and his family. King works that tension to great effect, but sticks firmly to social realism rather than veering off into a thriller with a capital T. And despite the themes of corruption and violence, there’s compassion running throughout the narrative, embodied in Dougherty and his family. If I were a movie producer I’d be looking to buy the rights. A very fine tale that is told very well. Highly recommended.